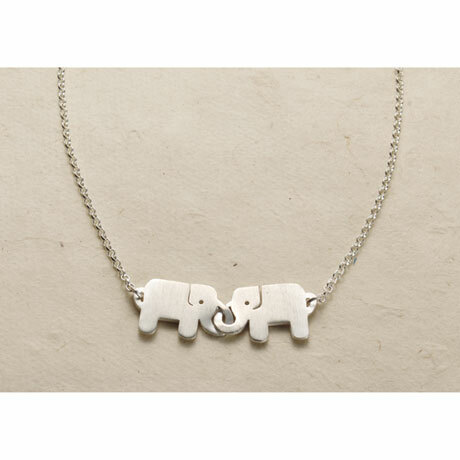 With their trunks permanently entwined, two little brushed sterling silver elephants symbolize lasting friendship. Give this to your bestie or wear it to show your love for these gentle, intelligent creatures. 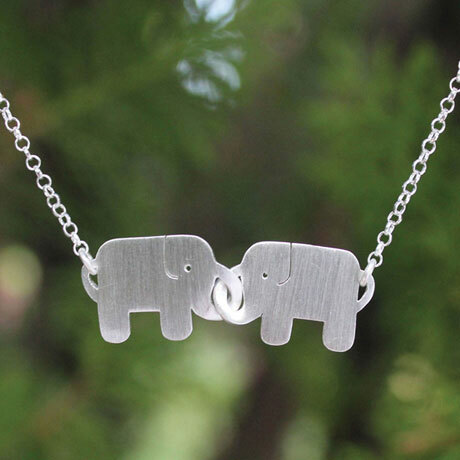 1¼"w x ½"h pair suspends from a sterling chain that adjusts 16-17". Designed and made by hand in Thailand.